FEARS HAVE been raised that vulnerable isolated people could be left without support once funding for a £6m loneliness project runs out. The Big Lottery Fund awarded the Age Better in Sheffield project £6m to reduce loneliness and social isolation in people aged 50 plus in 2014. “We think about the legacy of the projects a lot because we don’t want there to be a cliff edge where everything stops and there is a gap,” she said. “We helping people in communities to start up their own groups and we have helped a diverse number of groups from Northern Soul to Pagans and allotment holders. The Yorkshire Post first reported on the project in 2014 just a few months after it launched its award-winning campaign, Loneliness: The Hidden Epidemic. Then, the project estimated that more than 16,000 of the city’s 177,000 over-50s experience social isolation and loneliness. 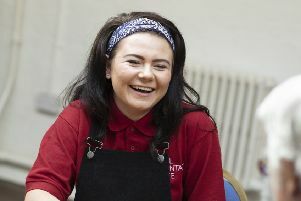 The six-year project aimed to work with a range of partners, such as the Royal Voluntary Service, to launch innovative schemes to combat loneliness, including one where young people were drafted in for an “inter-generational skill swap”. A similar project also received £6m in Leeds, ran by the city’s older people forum. Out of the Shadows: Time to Shine forms part of Leeds’s efforts to be an age-friendly city. Leeds has 246,000 older residents, an estimated 37,000 of those older people can be described as lonely or socially isolated. The Yorkshire Post campaign, which was described by Prime Minister Theresa May as “vital”, was sparked by research showing over 90,000 older people across Yorkshire were lonely all or most of the time.